No, it won’t. If you are not extracting business value from SharePoint with the version you currently have – merely upgrading to the next latest greatest version is not going to solve your problem. We’ve been hearing a lot of companies saying that they’re upgrading to SharePoint 2013 to get all the social features so they can collaborate – but they are not collaborating on SharePoint now! Buying new software is not going to magically solve your collaboration problem. You need to define what collaboration means to you, understand what went wrong and why, work out a strategy to address that, and then implement that strategy. If you’re not deriving business benefit from SharePoint now, a new version without radical changes to managing the platform is going result in yet another failed implementation. Previous How Do You Ensure Continued Adoption After the Initial Rollout of SharePoint? 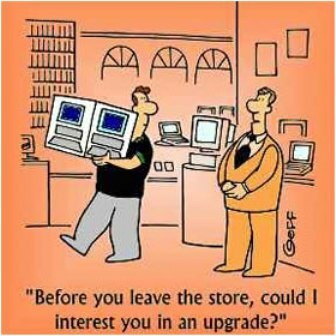 That may be, but if that’s the only reason you’re upgrading, you’re missing the point. Upgrading is great especially on software because there are loads of new features being added in it.